With a masterplan designed by Pritzker Prize-winning architect Renzo Piano, Milanosesto is the largest development project in Italy. Located in Sesto San Giovanni in the former Falck industrial area, this community includes over one million sq. m. of new and renovated spaces, and 7,500,000 sq. ft. of green space. Plans for the redevelopment include two types of residential buildings – high-rise with up to 30 floors, and low-rise up to 11 floors – that will provide a total of 8,000 apartments. It will also be home to a multifunctional shopping centre, as well as hospitality and industrial spaces. 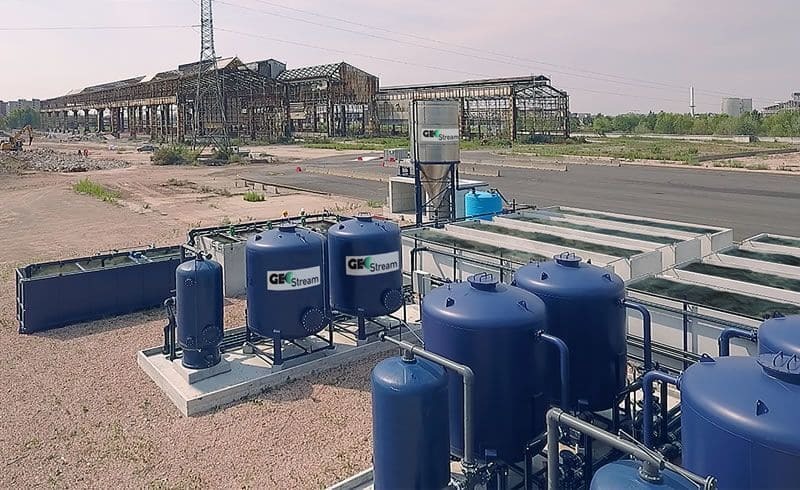 GeoStream was brought on board to assist with an environmental reclamation project on the ex-Falck steelworks plant which had previously occupied the site. A hydraulic barrier was installed to manage and treat the perched water during the reclamation excavations. The system, which includes 18 extraction wells installed to a depth of up to 100 metres, gives a capacity of 200 m3/hr. In order to ensure operational continuity, the system has five individual main treatment lines with a total of 15 filters. Each treatment line is divided into a manganese dioxide (pirolusite) and quartz sand filtration section; a section with active carbon and a last filtration stage using selective chelating resins. Before being discharged into the river Lambro, the treated effluent is stored in a post-treatment equalisation section consisting of 16 holding tanks with a total capacity of 800m3. The system is able to store water temporarily and defer discharge in case of discharge problems. The backwash water for the filters is handled completely automatically. Wastewater from the backwash process is sent to a chemical-physical plant dedicated to sludge management through sedimentation (static sedimentation system), conditioning and dewatering by filter press.